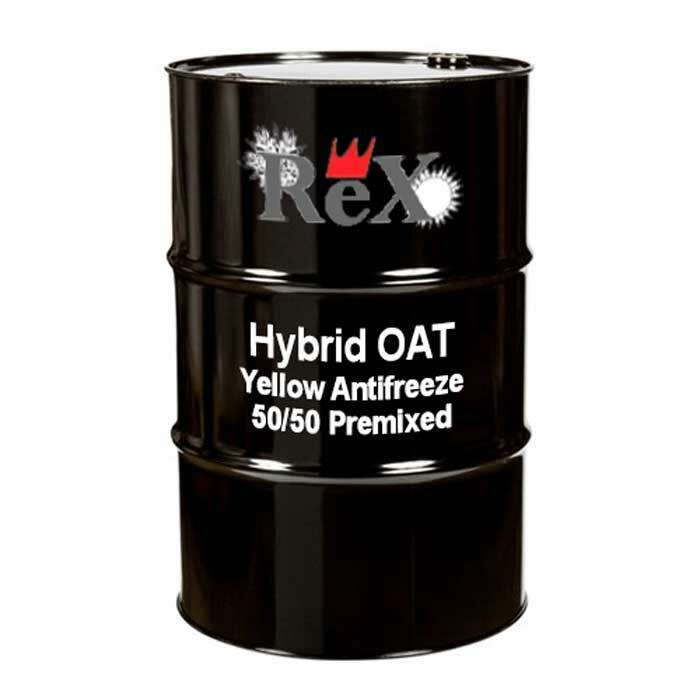 REX Hybrid OAT 50/50 pre-diluted antifreeze is an excellent choice when choosing a single coolant for use in multi-vehicle fleets. Formulated using our most robust inhibitor package and contains the premium inhibitor sodium molybdate. The combination of nitrite and molybdate in the inhibitor package proves and optimum balance for superior liner pitting protection. Can be used at first fill and is also an excellent choice when refilling low coolant levels because of its pale yellow coloration which takes on the color of other coolants that are present. Main applications: All heavy duty diesel engines, railroad, natural gas, and light duty automotive. 50/50 Ready to use. Do not mix with water.